Sharon Stevens looks at the connection between local, regenerative food production and homegrown currencies such as her local ‘Loaves’. From local markets to direct farmer-to-consumer relationships, regenerative agriculture is bonded with place-based economies. To support local food and other relocalisation initiatives, many communities have turned to homegrown currencies. 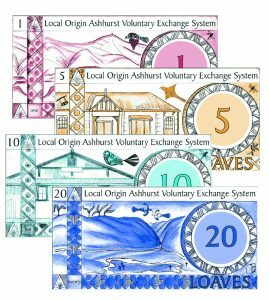 In the rural Pohangina Valley and in Ashhurst village (where I live), volunteers are developing a multi-business voucher currency called Loaves (Local Origin Ashhurst Voluntary Exchange System). Developing Loaves is a slow and small-step process, inspired by the successes of more established initiatives in other New Zealand communities. Even at these early stages, Loaves is serving as a tool for awareness-raising and small behaviour changes. For my part, as a Loaves volunteer, I hope to see Loaves serve as a subtle catalyst, stimulating the innate power of community and developing our connectedness to one another and to nature. 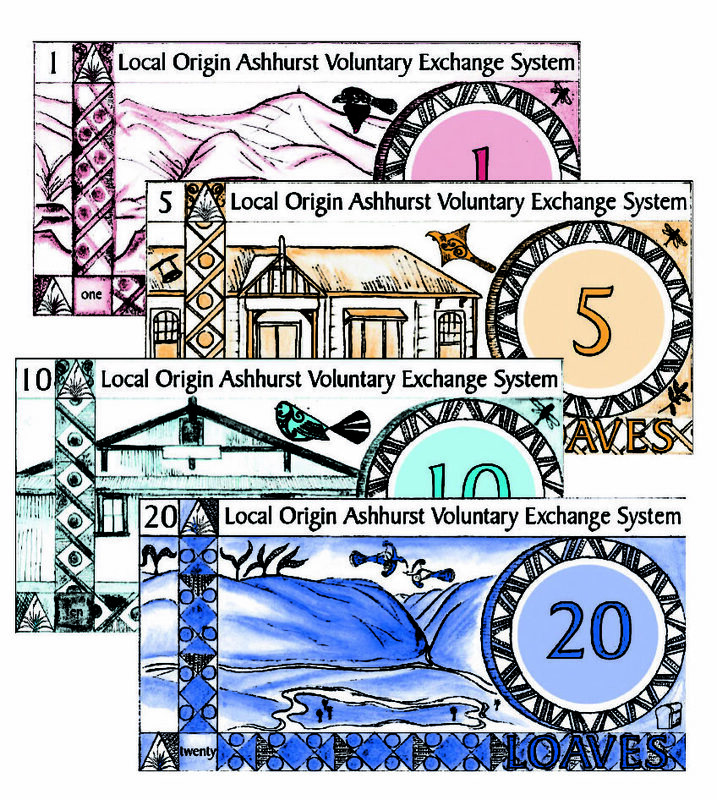 Local currencies support the development of healthy, small-scale systems. In a well-designed local economy, goods and services cycle in trading patterns that counteract the extraction-oriented economy promoted by the global monetary system. I often hear that money is neutral and that all that needs fixing is our individual attitudes and spending habits, but the reality is that bank money (such as New Zealand dollars), has built-in flaws. Money is created by banks as interest-bearing debt. As a result, while individual uses of money may be positive, on a collective level money circulates in ways that harm people, harm the planet, and exacerbate inequality. This problem is often explained by reference to an ancient Chinese fable in which an inventor develops chess and gives the game to the emperor. (There are other versions of this fable in India, Persia and elsewhere.) Delighted, the emperor offers the inventor a gift: name your price. The inventor, appearing modest, asks for one grain of rice for the first square of the chess board, two for the second, four for the third, and so on. This quickly adds up, because it is a doubling pattern, a type of exponential growth, analogous to rapid, exponential population growth. There are sixty-four squares on a chessboard, or (20 + 21 + 22 + 23 + … + 263), equal to (264 – 1). That’s eighteen-and-a-half quintillion grains of rice – more than the empire could provide. Incensed, the emperor orders the inventor’s execution. usually pay the bank about twice the value of their original loan. This is doubling, and it requires extracting extra money from the economy. That extra money enters the economy as somebody else’s debt, so that, for example, new mortgages pay for old ones. For debtors to remain solvent, and to prevent financial uncertainties that might contribute to a run on the bank, more and more money needs to be pumped into the economy. Until the bubble bursts, this causes exponential growth of the collective private debt burden, price inflation, and pressure to create real wealth – goods and services – to back up the ever-increasing money supply. On the farm, what does the exponential increase of interest-based debt money look like? Too many farmers worldwide carry debts they can barely manage. Even those who don’t are pressured by a global market structured by inflationary costs. Consequences include farmer stress, chemical and fossil fuel inputs for short-term production gains, cash crop monocultures, forest-to-farm conversions, carbon released from poorly managed soil, and other practices that degrade people and the earth. Indebted farmers are under pressure to play the wrong game, trying to feed bank profits instead of people. In short, the exponential growth of the interest-oriented money supply drives the intensification of agriculture. The efforts of regenerative farmers are all the more heroic because there is so much stacked against them. Let’s return to the emperor. That execution is horrid – but what if the emperor had tried to deliver? How many farmers would have worked too hard? How many would have exhausted their rice paddies? How many families would have starved to redistribute rice to the games-man? A cooperative economy would start with the soil and people that produce our food, because this is the most basic aspect of our livelihood. Growth would be linked not to exponentially increasing debts but instead to whatever real wealth could be sustainably produced. Trading tools would make equitable mutual support more straightforward. Just by keeping things more local, for example, a cooperative economy would increase face-to-face accountability, reduce transport footprints, and provide a barrier to how the global concentration of dollars systematically increases the gap between rich and poor. Our society is not yet ready to release its reliance on bank money. The Loaves local currency accommodates this with a transitional design. For now, Loaves are issued by a not-for-profit organisation, LEAP (Society for the Local Economy of Ashhurst and Pohangina, leap.org.nz). New Zealand dollars (NZD), used to purchase Loaves, are kept in the bank and listed as a liability in LEAP’s accounts, in case a business needs to redeem Loaves. This strong NZD link makes Loaves more manageable, but it also leaves it vulnerable to the same dynamics as bank money. For now, Loaves’ focus is on buy-local awareness raising and on creating a direct experience of how a community can invent its own solutions. Recently, LEAP has taken another small step towards local self-reliance. In the current ‘Loaves 2.0’ approach, only three businesses redeem Loaves for NZD. These businesses all have a rural base and a track record of community support. All are well established in the local economy, and therefore risk over-accumulating the currency, which is designed for spending, not saving. Two of them resonate strongly with the values of the organic community, but, like most other local currencies, Loaves’ focus is on the general system conditions for regenerative economy, without additional criteria for business participation. Loaves is not a money-maker for businesses that already have strong demand, so the generous participation of these three helps develop – and anchor – the following community benefits. Wealth begins with nature and human co-creativity. Loaves’ ‘anchor’ businesses are a cheesery (Cartwheel Creamery), a specialist fruit and nut tree nursery (Edible Garden), and a roadside fruit and veg shop (Riverside Orchard). Rural supply to the local economy grounds all other Loaves exchanges; that is, all others participate in Loaves because they can spend with one another and at these shops. In the long run, an even more robust model would be to have regenerative rural businesses issue Loaves as a promise to provide future goods or services, such as sustainably grown food boxes. 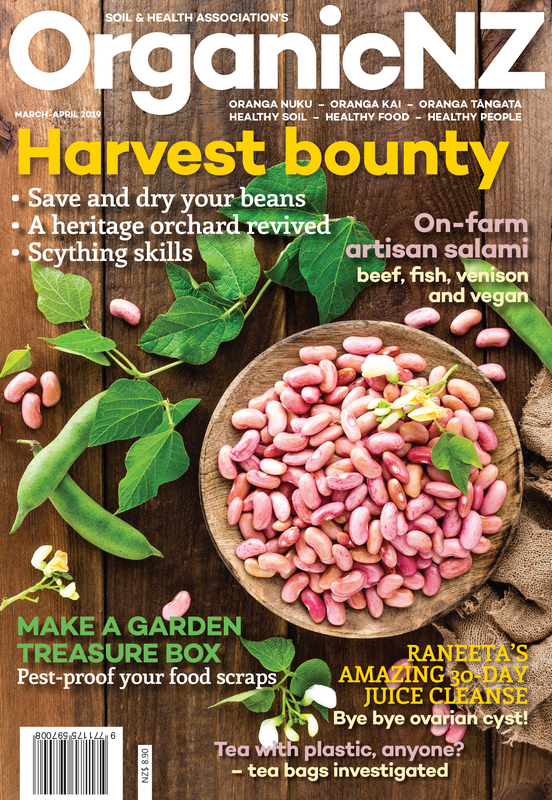 This approach would be similar to a CSA (community-supported agriculture) fruit and veg box subscription, but it would also involve multi-party voucher circulation backed by the recognised value of those boxes. Friendship, business loyalty, and community accountability are all enhanced by the face-to-face connections that physical voucher spending requires. Local currencies are also proven to increase the identification of people with place. Additionally, increased local purchasing is a positive correction to an overemphasis on global corporate trading. Local currencies make small and start-up businesses more visible. Evidence indicates that any ‘buy local’ campaign – from posters to currencies – raises awareness and increases support for small- and medium-sized private businesses. For a community to be resilient to outside shocks requires collective capacity to meet needs closer to home. There’s a chicken-and-egg issue, with local production and local distribution networks needing one another to keep developing. Local procurement policies, local currencies, and other local economic tools create the conditions for regenerative economy. In their truest form, economic trading tools help people cooperate to meet their needs and wants. Like other small currencies, Loaves shifts the focus away from money accumulation and back to the basics – back to the deep value of human connection, back to nature as the deep foundation of our collective wealth. Dr Sharon Stevens is the volunteer project coordinator for Loaves, working on behalf of LEAP.